That’s how Albert Camus begins his essay The Myth of Sisyphus, in which he takes it on himself to question the meaning of existence and the incentives we have for staying alive. Like many before him, he was skeptical of a purely objective view of reality. He didn’t buy into the idea of a preordained purpose. Nor did he think that the answer was obvious. After all, there is a lot that doesn’t make sense about life, and this lack of orientation isn’t always pleasant. In fact, quite often, it involves pain, confusion, and sustained difficulty. Camus goes on to talk about all of this at length, and he eventually answers the question. At the end of the essay, he frames his conclusion into the story of Sisyphus. A character in Greek mythology who disobeyed the Gods and was punished to pointlessly roll a boulder up a hill for eternity, only to watch it fall right back down, forcing him to repeat the task. The essay ends as shockingly as it began. How is it possible for Sisyphus to be happy? Before we answer that, we have to first introduce the problem that Camus was trying to solve. It’s one that takes shape in different forms in every life that has ever been lived. The absurd condition is a product of us trying to reason with an unreasonable world. It occurs when our rational and sensible ideas about what we want out of life collide with the cold indifference of an unsympathetic world that doesn’t concern itself with any one person. Many of us would like to work jobs that ignite our imagination every day, but instead, we’re stuck doing repetitive chores so we can pay the bills and keep doing more of the same. A lot of us would like a reasonable shot at contentment and fulfillment, but due to things mostly outside of our control, we are instead forced to deal with disorientation and confusion. Our expectations aren’t unreasonable, and much of the time, nor do they fall outside of the realm of possibility. Yet, due to factors larger than any one of us, we have to settle. There are two obvious solutions. The first is to abandon our reasonable expectations, and the second is to pretend that the world isn’t unreasonable at all and that everything is fine. These solutions to the predicament, however, don’t please Camus. Abandoning reason is what he calls “philosophical suicide,” and it’s at odds with the actual reality. Similarly, denying the unreasonability of the world is a form of acceptance that limits our experience. Neither is the cause of Sisyphus’ happiness. His approach is based on a different viewpoint. This again brings us to Camus’ initial question. Why endure when there is a way out? Well, if we have decided that we can’t abandon reason, then suicide doesn’t make sense because it would mean accepting the fruitlessness of the situation without pushing back. 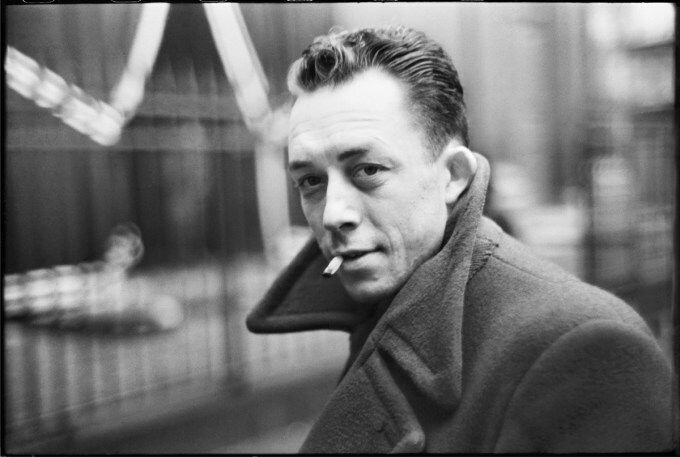 To Camus, the real solution is a combination of revolt, freedom, and passion, and that is the cause of Sisyphus’ happiness in spite of the absurdity of his situation. It’s why he endures. Firstly, he has no illusion as to the pointlessness and difficulty of his circumstances. Yet, he goes back down the hill to keep pushing the boulder up again. This is a form of revolt against his situation, and it gives him power over the absurdity that he can’t beat any other way. Secondly, he doesn’t pretend to gain any sort of eternal freedom from the unreasonableness of the world over the long term, but his choices and his reactions can give him freedom here and right now. Ultimately, that’s the only freedom that matters. It’s what makes life worth living. Finally, he is clear on the fact that the purpose of life isn’t to live as good and comfortable as possible, but it’s to live as much as possible. It’s to have a zest and a passion for your experience no matter what it brings you, and this isn’t at all dependent on the world but on each of us. With each push, Sisyphus revolts and gains power over his situation. With each decision, he earns the freedom of that moment. With each breath, he retains the livelihood with passion. No matter how difficult the challenge, and no matter how steep the hill, we’re all gifted the strength of these three weapons, and we can call on them in almost any circumstance. Because, as Sisyphus shows, most situations have solutions that make life worth enduring. Albert Camus became the second youngest winner of the Nobel Prize in Literature in 1957. While he passed away a few years later, the work he left behind continues to be talked about today. His stories were simple but profound. The characters were complex but human. Although he was very careful about not labeling himself a philosopher, his impact on 20th century thinking can’t be understated. The Myth of Sisyphus is a revolutionary piece of work. He never shied away from asking the big questions, and nor was he hesitant to provide the answers. By all evidence, it appears that he lived his own life in line with what he preached. The absurdity of life is present in each one of our stories. It can arise as easily in our personal lives as it can in the broader ecosystem that we are a part of. Escaping it is not the solution. The world will continue as it does, and evading reason itself is unreasonable. Rather, the way to deal with it is with radical acceptance. It’s by engaging in a permanent revolt. It’s by treasuring the freedom of the present moment. It’s by injecting life with passion. A life without the absurd would also be a life without any subjective meaning. Happiness and fulfillment are deeply intervened in the different moments of difficulty, pain, and challenge. Sisyphus is happy not in spite of his struggle, but because of the opportunity that it presents.